This statistic shows the highest GDP growth rates among the largest metro areas in the USA in 2009. 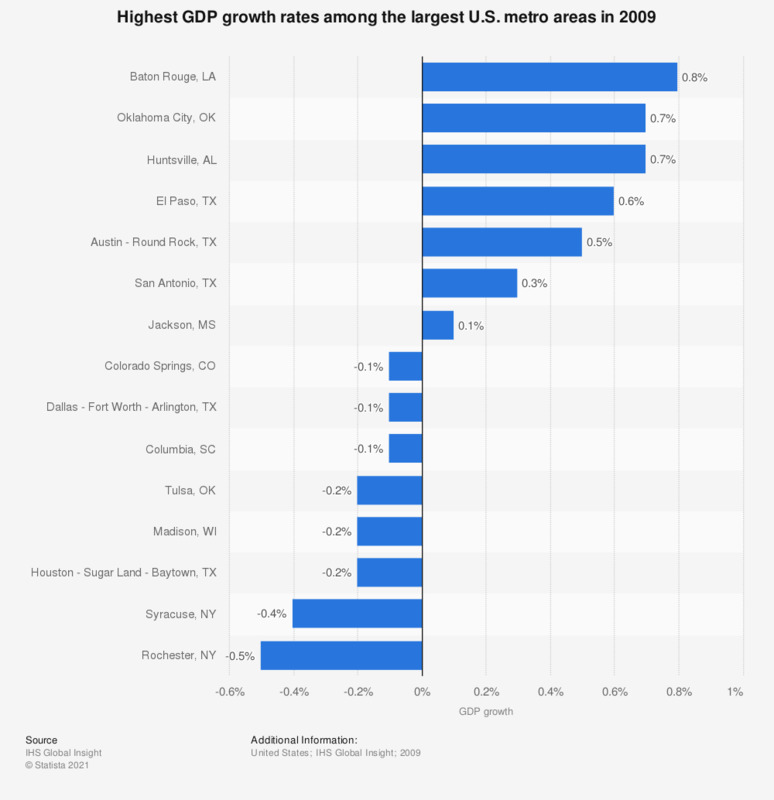 The real gross metro product growth rate in El Paso, Texas was at 0.6 percent. A projection of the annual inflation rate of the country can be accessed here.